Freecharge – Get Rs 50 Cashback on Rs 300+ Jio Recharge & Rs 30 on Rs 50 Jio Recharge. 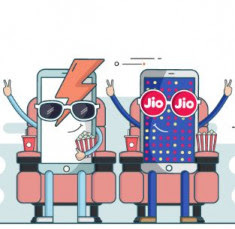 Freecharge has come up with an awesome deal for Jio Sim users, Get Flat Rs 50 Cashback on Rs 300 or above Jio Recharge. Offer is valid till- 15th November 2017. Valid for once per user. So Hurry up and avail this offer now !! 4) Initiate a Recharge of Rs 50+ or Rs 300+ in your Jio Sim. 1) Valid on successful JIO Mobile Recharges done till 15th Nov 2017. 2) Valid on Minimum transaction of Rs 300. 4) JIO50 Promocode has to be applied to avail cashback offer. 11) Offer valid on FreeCharge App, Web & mWeb.